As start-up culture hits Indian cities, contemporary methods of working are changing. Co-working culture is attracting more and more young entrepreneurs in India. Delhi-NCR is now becoming one of the preferred international Co-Working hubs and in this scenario furniture of Co-Working centers also becomes important. 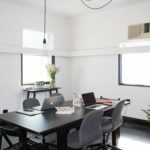 Co-working startups in Delhi like Moonlighting, Zen Co-Working, 91Springboards etc are great examples of customized working spaces with great furniture. Vipul Furniture (UsedFurnitures.in) has been working with leading working teams Delhi and Noida to provide world class office furniture on demand. 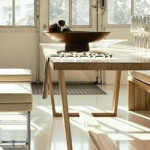 Especially multi-use furniture that serves different purposes in different situations are in high demand. 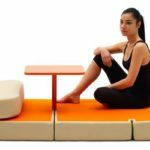 With space constraints and budget constraints, such multip purpose furniture can be very helpful to start-ups and co-working centers. Check out some of our office paintings in Oil on Canvas category. If you have a Business Center in Delhi/Noida/Gurgaon/Ghaziabad etc and are looking for a long-term furniture partner we would be glad to help you with the same. We can provide customized furniture according to your theme and your customers’ requirements. If you are looking for Sofas for lobbies and sitting spaces, office cabinets, office paintings we have readymade solutions available, even for bulk orders. Please visit our showroom at Sec 65 Noida or browse furniture and office decoration items right here on our website.